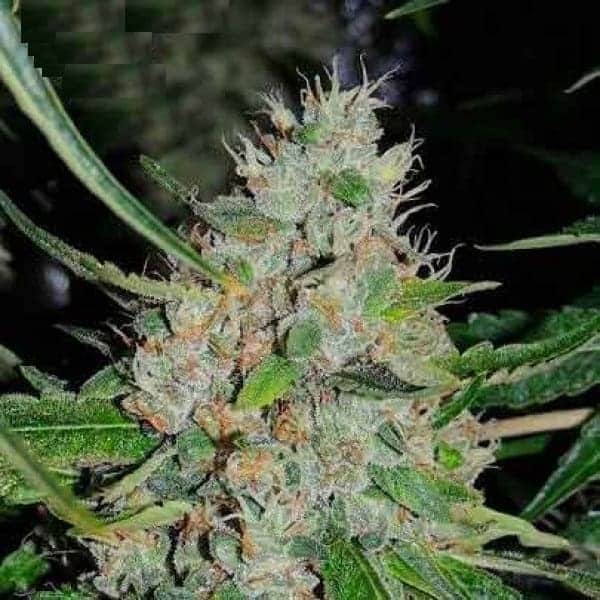 Biker kush seeds are obtained as a result of second backcross of the popular kush strain HA-OG. 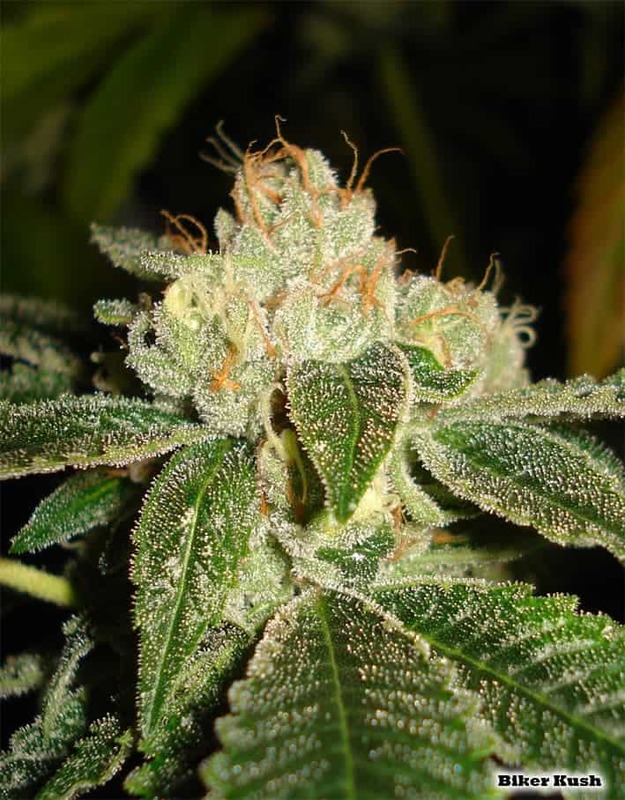 This flavorful strain by Karma Genetics is a heavy OG Kush variety. 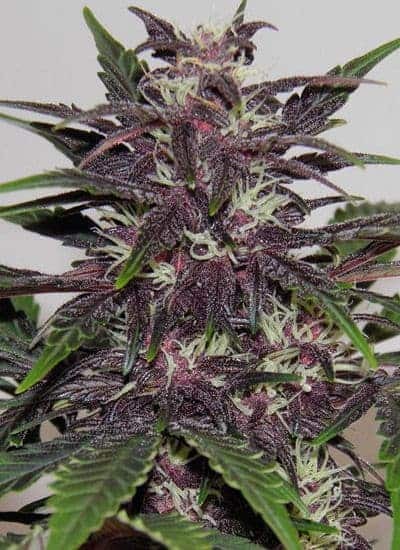 It beautifully exhibits all the properties of the kush strain like red wine color, kushy flavor and growing pattern. 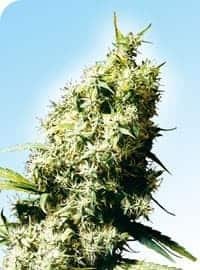 This strain is predominantly Sativa in origin and gives big yields. 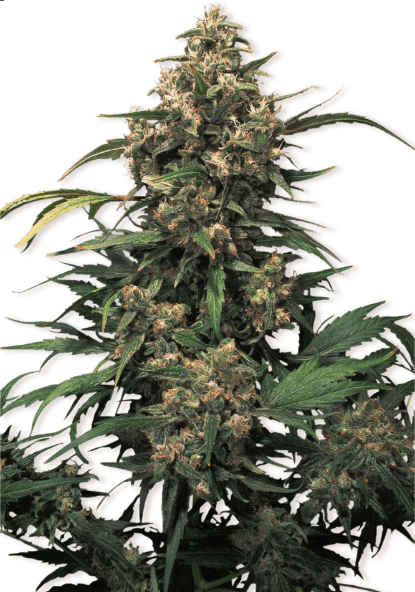 Biker kush seeds are obtained as a result of second backcross of the popular kush strain HA-OG. 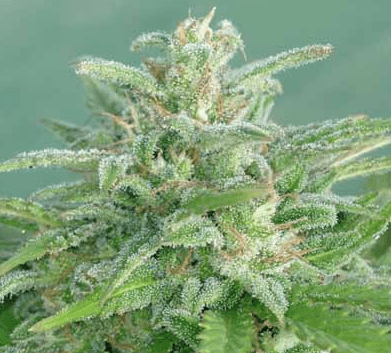 This flavorful strain by Karma Genetics is a heavy OG Kush variety. 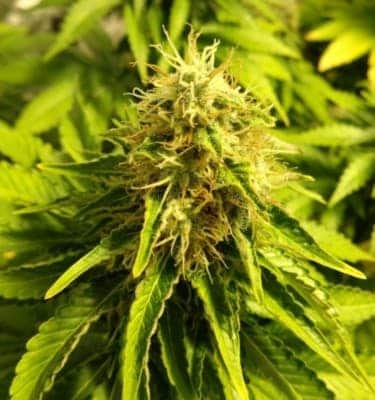 It beautifully exhibits all the properties of the kush strain like red wine color, kushy flavor and growing pattern. 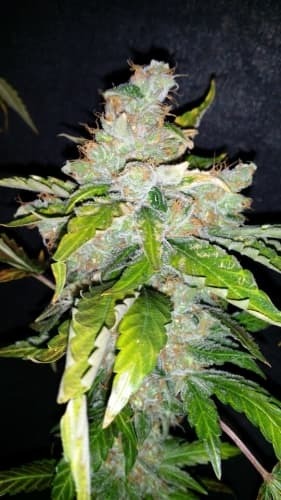 This strain is predominantly Sativa in origin and gives big yields. The growth of the plant is viny and thin with a tendency to stretch over the supports. The buds are hard, big and dark green in color with a enticing smell that spreads over the area that it grows in. 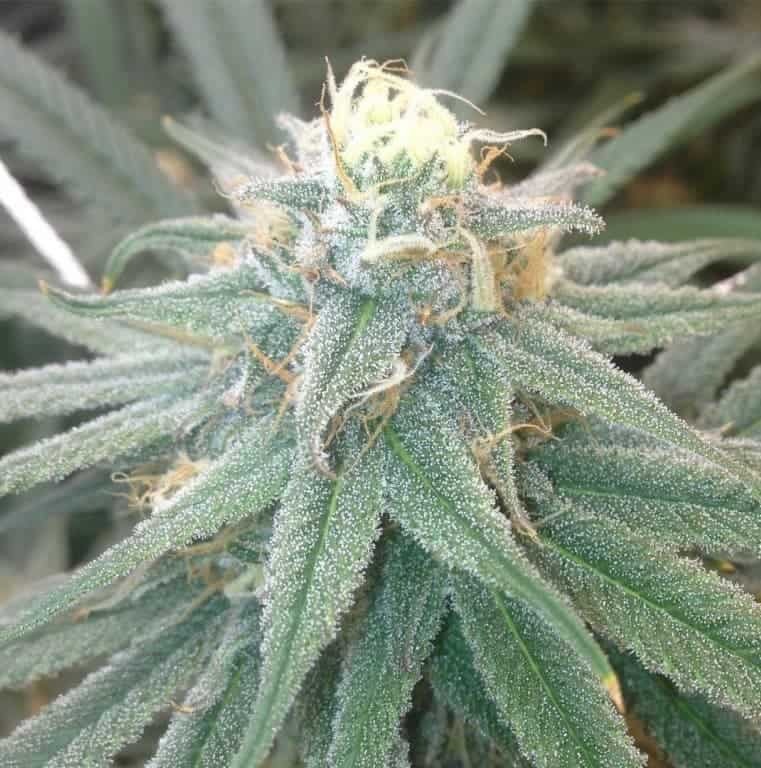 The strain has a pinesol lemon and kush flavor blended together in one. 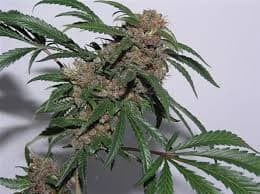 This smell and lemony tinge are what make it different from other kush strains. It makes the user feel happy and euphoric. One smoke is enough to get you talking. You will feel a sense of upliftment and joy. The pine flavor is sure to linger on your taste buds for a long time.